Row by Row 2019 is TASTE the experience! Holiday shopping can be a little hectic. 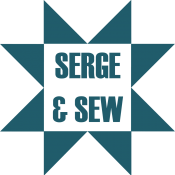 The elves at SERGE & SEW will be happy to help you select the perfect gift. The elves will even gift wrap your purchases free!